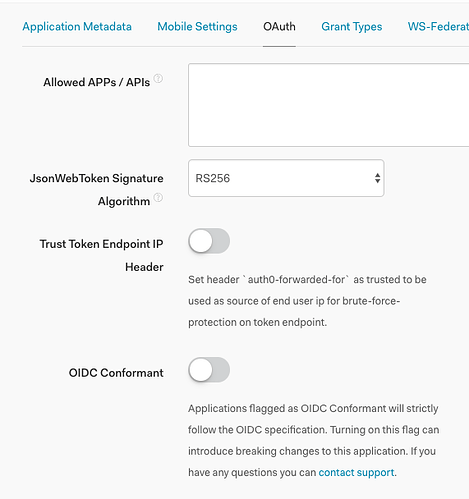 Can you to into your Auth0 application settings and then “Advanced Settings” → “OAuth” and turn off “OIDC Conformant” and see if that helps? 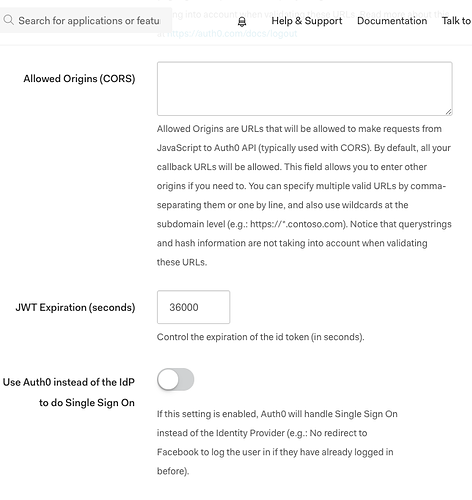 Just tried that, saved changes and when I log in with Auth0, the user is created in Auth0 but fields are still not being populated. Thanks for the suggestion! I moved it to this topic to keep things in one place. Seems like this thread seems to be deprecated, I never found it before, hence why the discussions were elsewhere! This would have saved me a lot of time so thanks for flagging it up! I can do the Auth0 authentication but it’s not copying user information to Discourse Dialog Window to create a new user. I have to write all the information on user creation. 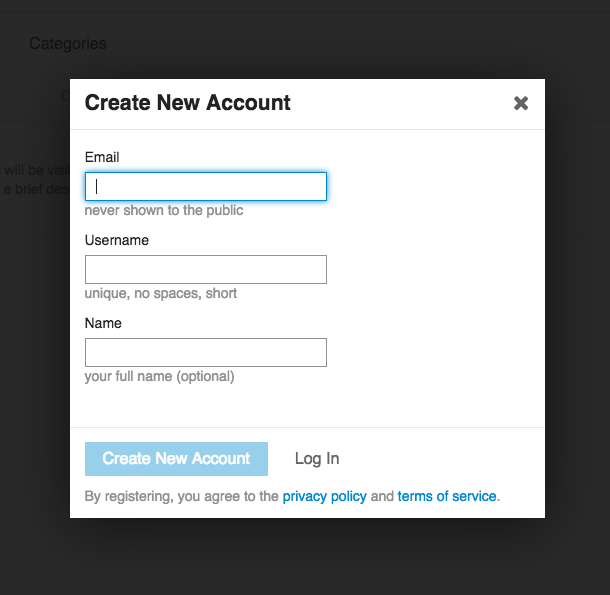 If I create a new user as I told in step 1, it’s receiving the email and user of the last user that was created. It’s sounds very weird. If you have a tip to fix it or if I am doing something wrong, please let me know. but it’s not copying user information to Discourse Dialog Window to create a new user. This usually means something somewhere isn’t quite hooked up right. Can you verify these settings are correct in your auth0 settings? Can you tell me what your settings are for your application under “Advanced Settings” → “OAuth”? I think you may need to turn off “OIDC Conformant”. Please provide any other settings you have configured in auth0 so I can help debug. I looked now and “OIDC Conformant” is turned off. All the new users are authenticated in Auth0 and at Auth0’s log everything is fine. But the information is not copied to create a new user in Discourse. On the Discourse side can you remove “oauth2 json username path” , “oauth2 json name path”, and “oauth2 json avatar path” for now. 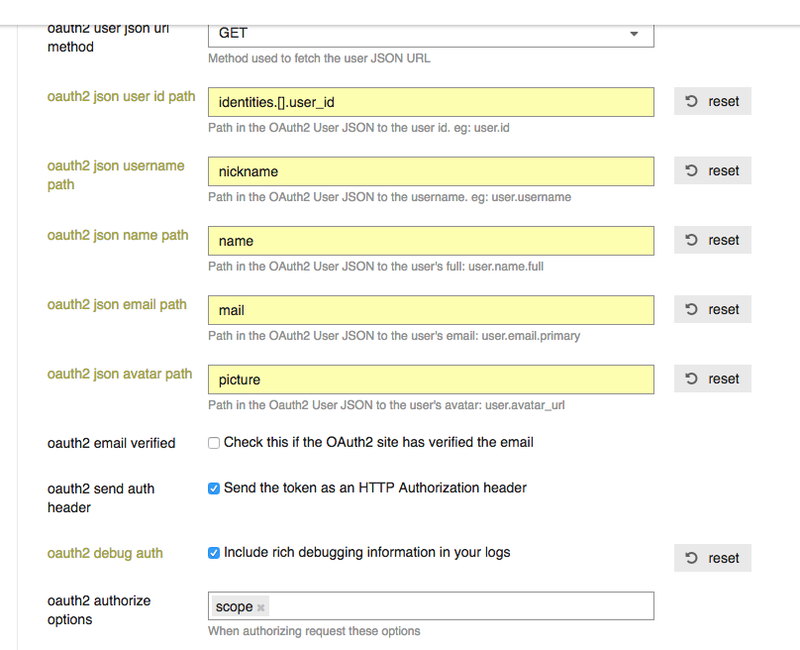 Then can you update “oauth2 json email path” to “email”. Let’s see if we can just get that working, then we can work on the other fields. Also you can check “oauth2 email verified” because auth0 is already verifying the email addresses. Thanks for your return but unfortunately I am still stuck on it. I also create a new Auth0 account, just for text and the problem continuos. Is there a log where I can track this information? 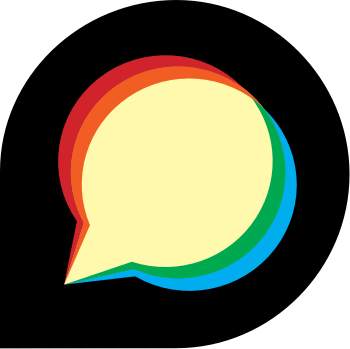 Have you been to /logs on your forum? If you have the debug oauth setting turned on your should be able to see some entries from auth0. Auth0 should still send the user info whether you use google to auth or auth0 directly. But can you try and log in directly with auth0 username and pass instead of google and see what that sends to Discourse in the payload. Your json should look something like above. I have this working at https://discourse-test-prod-box.blakeerickson.com/ you can also try google auth via auth0 and see if it works there. Sounds like @Serginho_Cintra is having the same problem as me. I’ve been working through this with Auth0 support having upgraded to a paid account, and everything is working fine from the Auth0 end. We are now seeing something very strange in that, any time anybody uses the Auth0 login they are being logged in as another user (the same user every time) who is in no way connected to the person logging in (but that user was the one previously created before the new user we are trying to create, as in Serginho’s case). That user is a forum administrator. 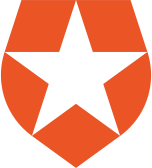 Happy to share Auth0’s debugging info if this helps get to the bottom of it. Obviously a pretty critical issue! It’s basically blocking us launching our Discourse community for the past few weeks while we’ve been debugging. auth0 uses Discourse. It would seem like this should be a well-documented solution. Maybe @jerdog has some ideas? Do you happend to have an EU based auth0 account? The only thing Serginho and I were able to figure out was that Serginho had an EU based auth0 account, as soon as it was switched back to the US based auth0 account it worked fine. I’m not saying there isn’t some bug somewhere on the Discourse side, but something appears to be different on the auth0 side between their US and EU versions. That doesn’t sound right at all - I am reaching out to one of our engineers to have a look, but it will probably be helpful if you could contact us through our forum so we can exchange the private tenant info needed to troubleshoot. We can then provide a summary back here of what was fixed. From previous debugging, auth0 is sending an empty payload (or near empty) which is why the form isn’t being auto-populated. But what I think is happening is Discourse is inserting an empty value in the db as the unique id. So any user who then signs in again will authenticate against that empty value. Obviously there is some improvement to be made on the discourse side to make sure THAT doesn’t happen, but the root cause is auth0 isn’t sending a populated payload for some reason. it will probably be helpful if you could contact us through our forum so we can exchange the private tenant info needed to troubleshoot.